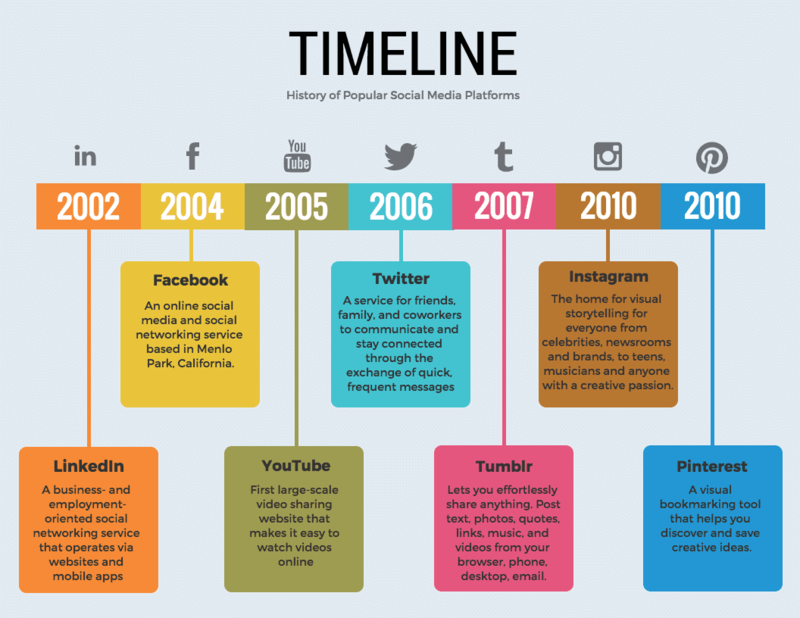 Timeline infographics are one of the best methods for displaying information over time. Their simple linear structure makes them perfect for making complex information more interesting, easier to follow, and more digestible. 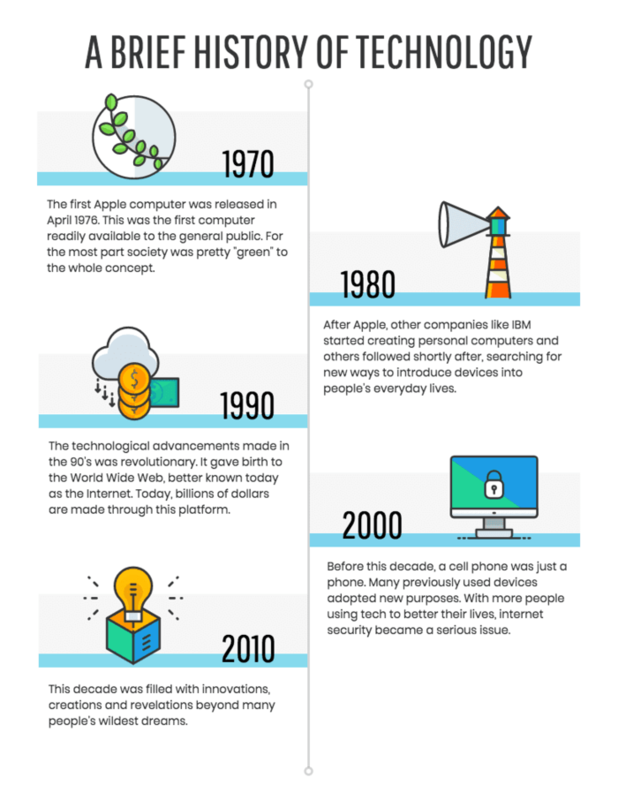 Whatever the purpose, there are a few basic steps you can follow to create a timeline infographic that’s attractive and engaging. 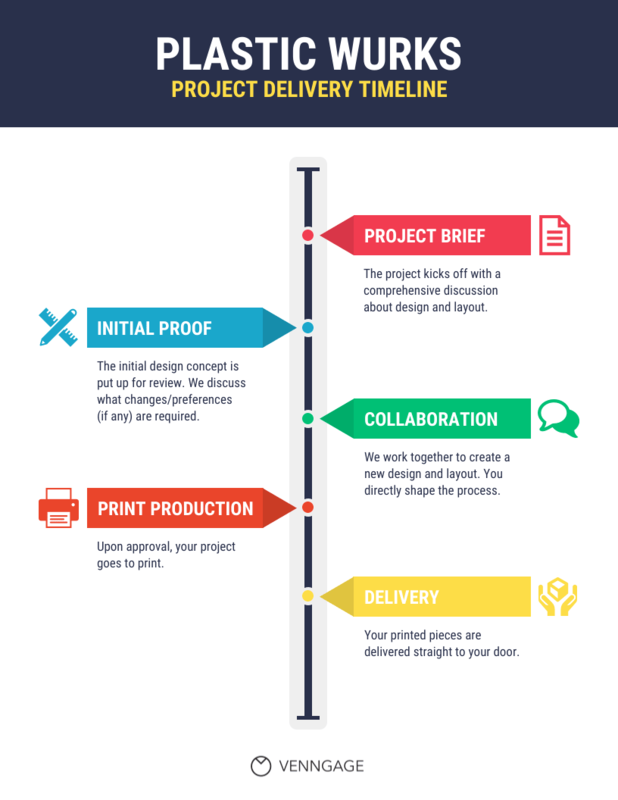 Let’s see how each of these steps can help us create a timeline infographic. 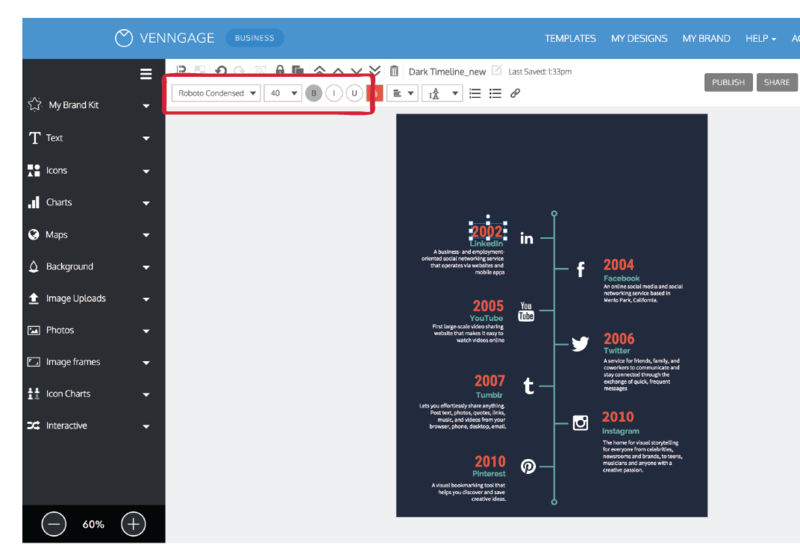 You can even check out timeline infographic templates, to see which one would work best for you! Before designing any new timeline infographic, I like to start with a simple outline that will help guide me through the whole process. 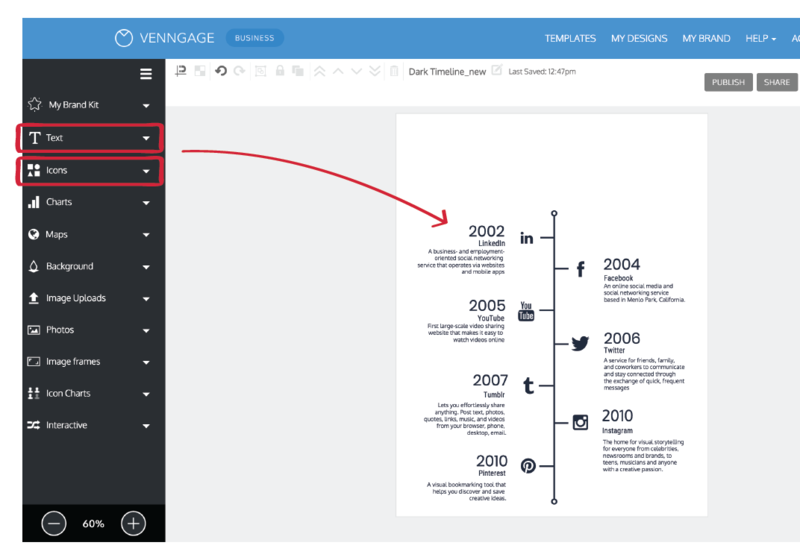 This step is crucial because the design of the timeline will be highly dependent on the amount of content you want to include. 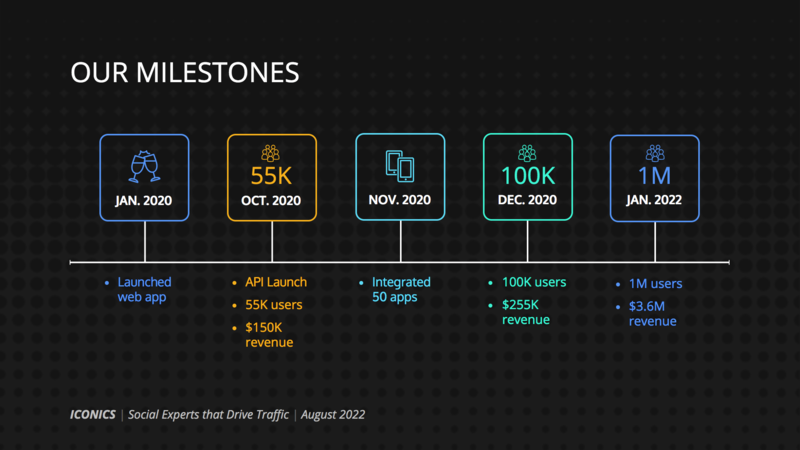 If you don’t know how much content you have to fit in the timeline, you might choose the wrong layout, and you’ll end up doing a ton of extra work. 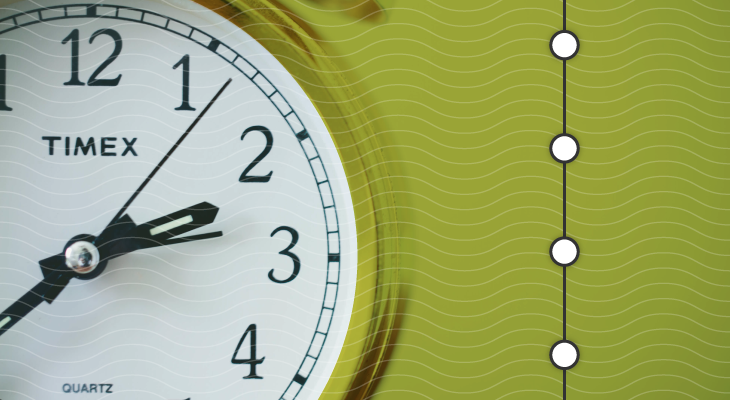 The idea behind a timeline is that you want to provide a bit of information about key events in time, so each event should have, at least, a specific date and a brief description. Since a timeline should be a visual summary of a series of events, try to keep the descriptions pretty brief. I usually like to aim for less than 30 words per description, then try to spice it up with some visuals like icons or illustrations to make it visually exciting. Keep in mind, too, that having the same amount of text for each event will make it easier to create a pleasing, symmetrical design. Then I’d find a simple visual, like an icon, to accompany each point. 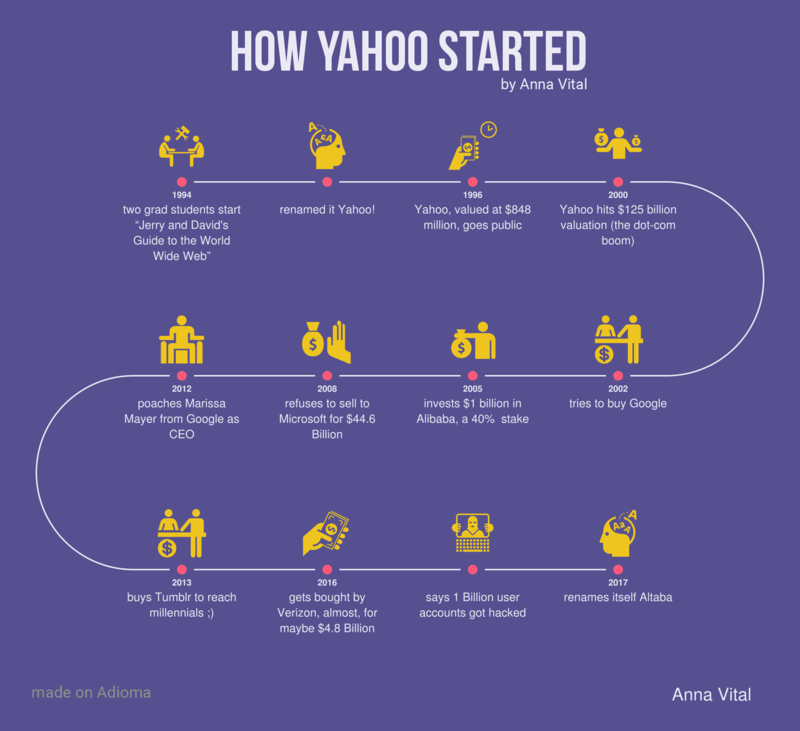 These visuals are what sets a timeline infographic apart from a plain old timeline. They draw the reader’s eye, add visual interest, and make the graphic easy to scan, without too much thought. This quick outline must be completed in the very first step so that you can make smart design choices down the line. With an outline prepared, it is now time to select a layout! This is where you can start to make critical design choices based on your outline. Some layouts are better for lengthy text, while others are suited to many points in time with less text. 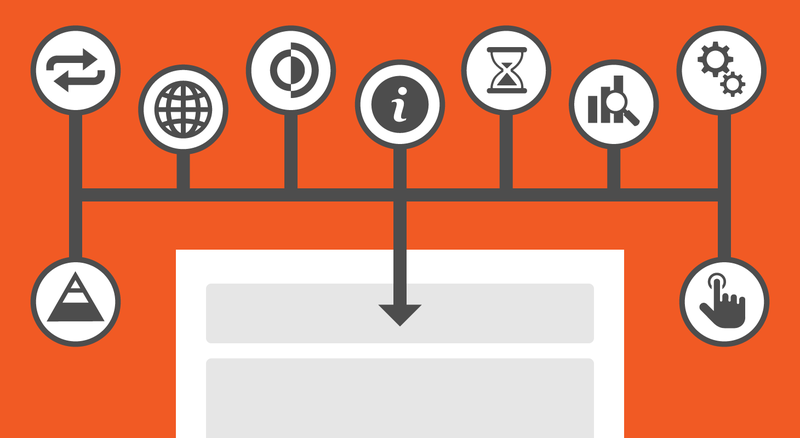 Let’s review the strengths and weaknesses of each type of timeline layout. 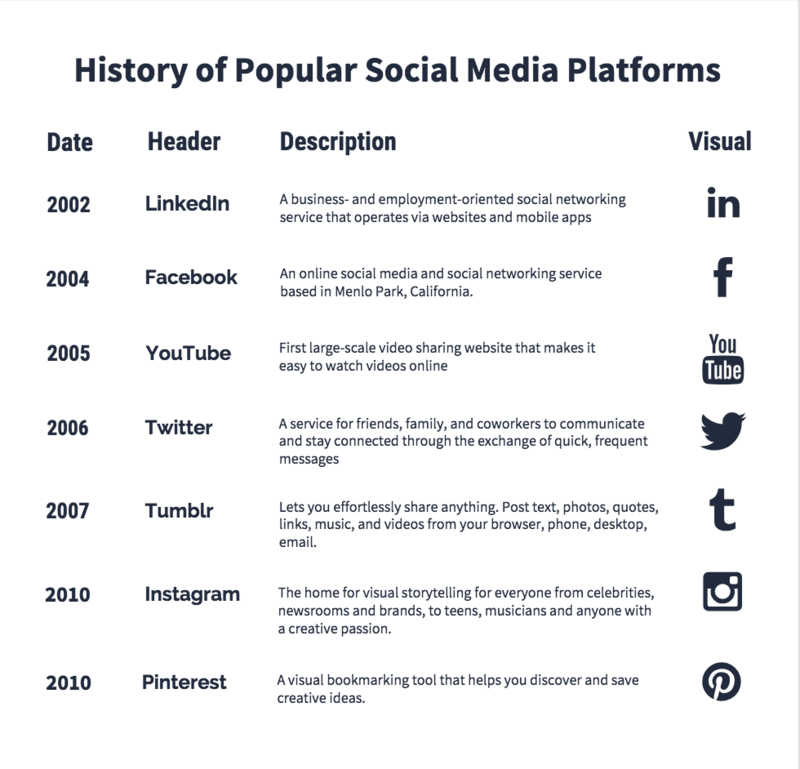 The vertical layout is by far the most popular layout for timeline infographics. It comes in two main forms: centered and left-aligned. Its symmetry and simplicity makes it pleasing to look at and extremely easy to follow. Most people will automatically recognize it as a timeline without studying it for more than a second. It’s also quite flexible; there’s plenty of room for long descriptions, and to add more points, you can simply extend the length of the page. Plus, it’s easy to add visuals to this type of layout. Use a centered vertical layout when you have many points with a mixture of text and images. 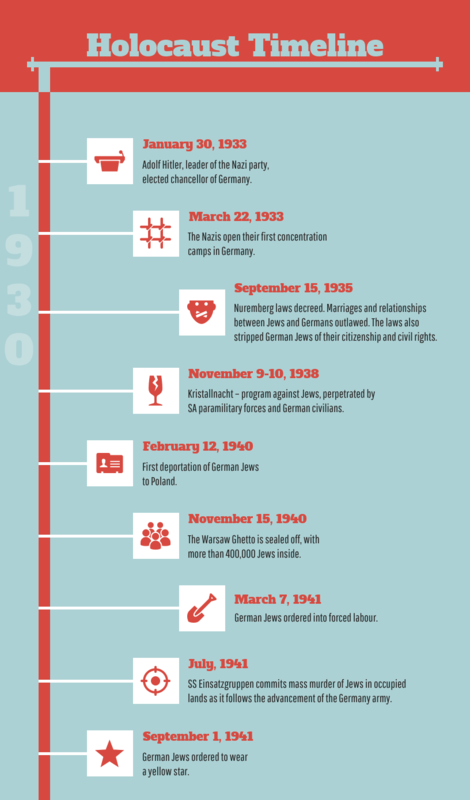 Next, we have the other most popular timeline infographic layout: the left-aligned timeline. Instead of having branches come off of either side of the timeline, the line itself is aligned to the left of the page, and all of the content is placed to the right of the line. The left-aligned vertical layout is great for text-heavy timeline, with few visuals and lots of sections. 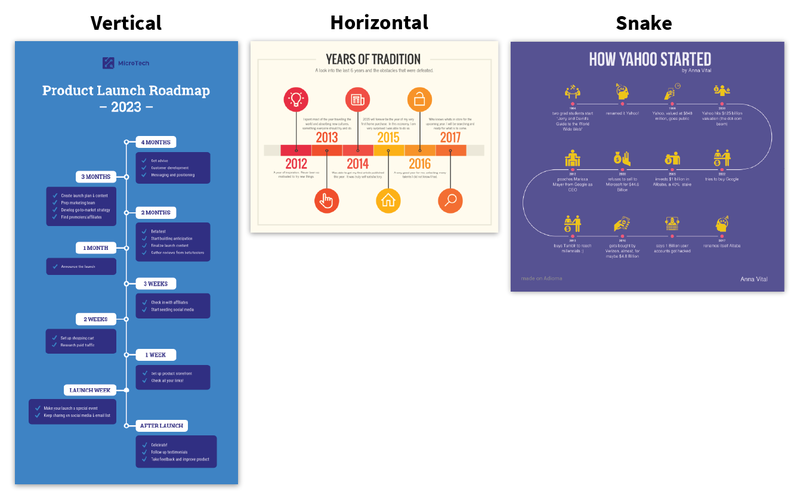 I recommend the vertical layout, either centered or left-aligned, for most timeline infographics because it’s so flexible. It’s the easiest to create, edit, and adjust to all sorts of content. While they do work nicely on presentation slides, they’re not ideal for most infographics. They can only handle up to 6 or 7 points in time (on a letter size page) before they get too cramped to read. If you’ve got less than 7 points and your descriptions are very brief, you can use a horizontal layout. Otherwise, stick with a vertical or snake layout. The final timeline layout you might want to use is the snake layout. Simply put, the snake layout winds across the page and looks like a snake. Our post on how to turn content into an infographic will also help you decide on the best layout. After you have decided on a layout, it’s time to create the actual timeline! 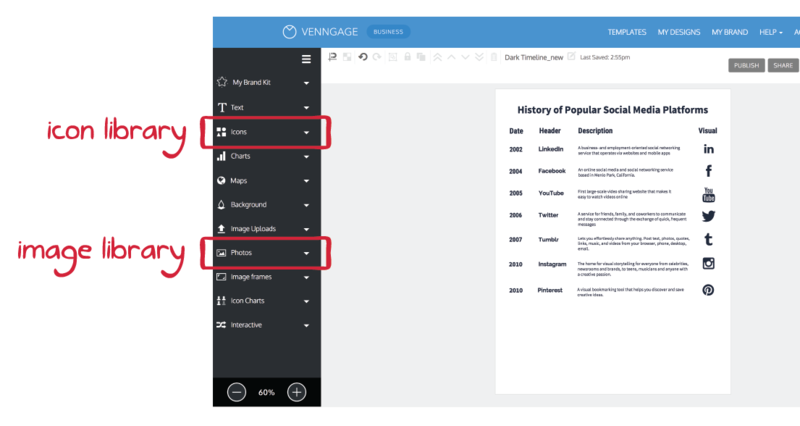 I’m going to walk you through the process for how we created the template below from scratch, using Venngage. 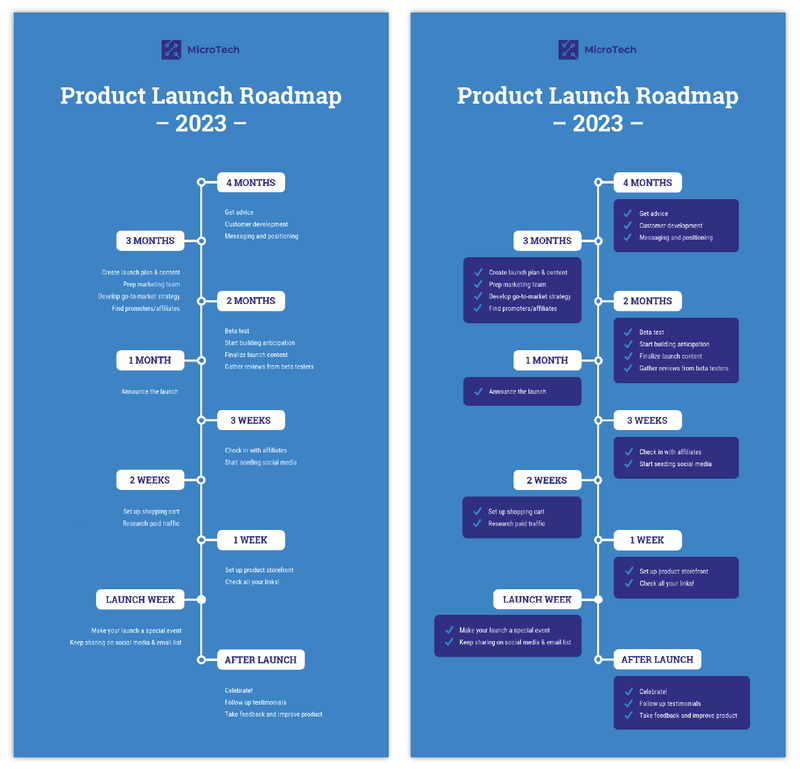 This is a pretty typical centered vertical timeline, so the steps I will touch on here should apply to most infographic timelines. Every timeline should be created around the same basic framework: a single line with regularly spaced branches or nodes. This might seem obvious, but it’s absolutely crucial. First, start by selecting a vertical line from the “Lines & Borders” category of the icon library in the left toolbar. Center it and adjust it to run the length of the page, leaving room for a title at the top. This will form the backbone of your timeline. Then, customize the styling of this line via the top toolbar. Use the line width dropdown to set the width of the main line to at least 2px. 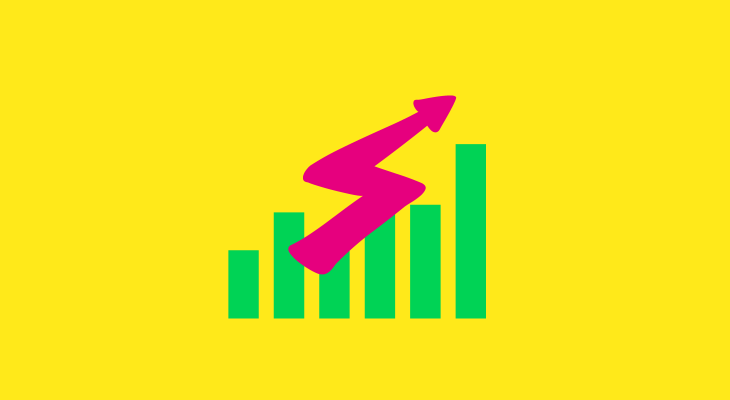 For this line, we used a 4px width. 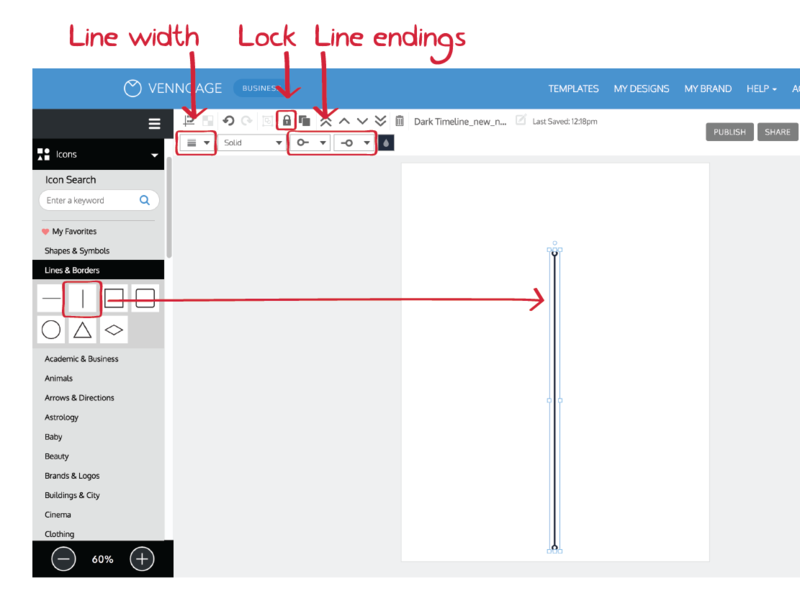 Next, use the “Line Ending 1” and “Line Ending 2” dropdowns to add embellishments to each end of the line. We chose circles, but perpendicular lines and arrows would also be appropriate for most timelines. Then, make sure to lock the timeline in place using the “Lock” button in the top toolbar. This simple step keeps you from accidentally moving the line while you add more elements. Finally, head back over to the “Lines & Borders in the icon library and add a horizontal line for each point in your outline. Use the grid to space them out regularly on alternating sides of the main timeline. 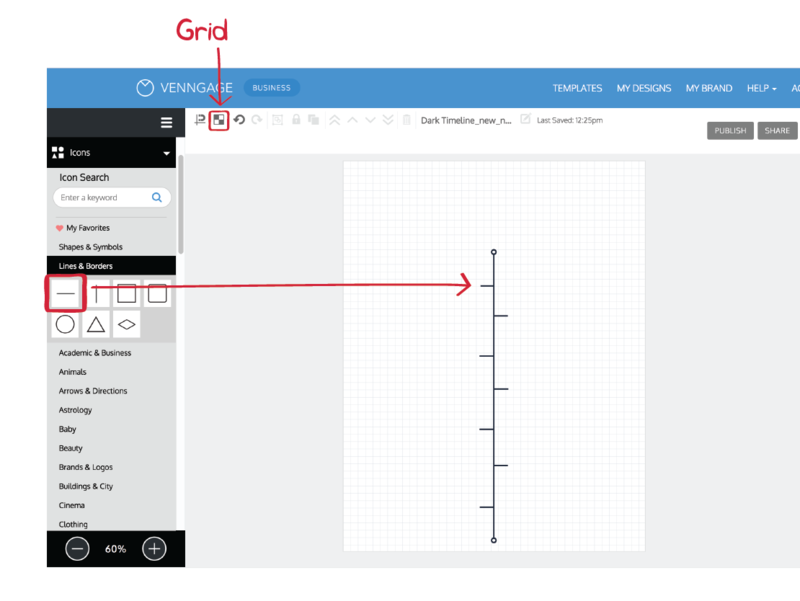 Oh, and here’s an extra tip to make your timeline creation process easier: turn on the “Grid” in the top toolbar. It comes in handy when you need to align many objects on the page. Now that you have the bare bones of your timeline set up, you can fill in the details. It’s time to add the content. 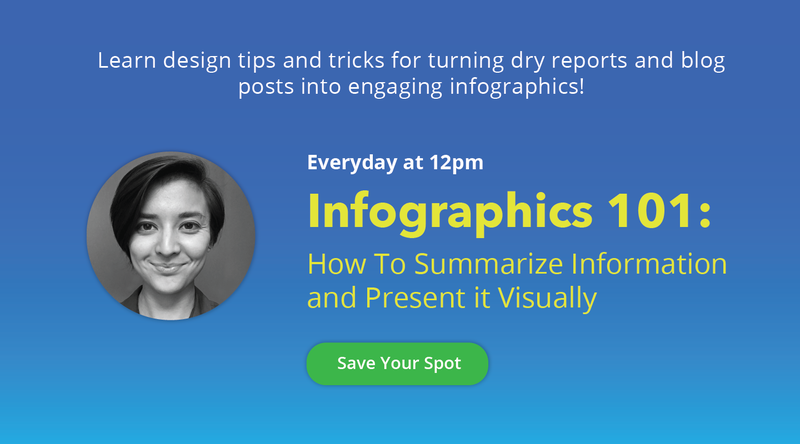 Start with the images, since they should be the focal point of the infographic. Drag in icons or photos from our built-in libraries, and align each image with its corresponding branch on the timeline. Next, add the text from your outline. Select header, subheader, and body text boxes from the left toolbar menu and place them on the page, next to each branch. Fill in the header text boxes with the dates, add your header text to the subheader text boxes, and add your descriptions to the body text boxes. 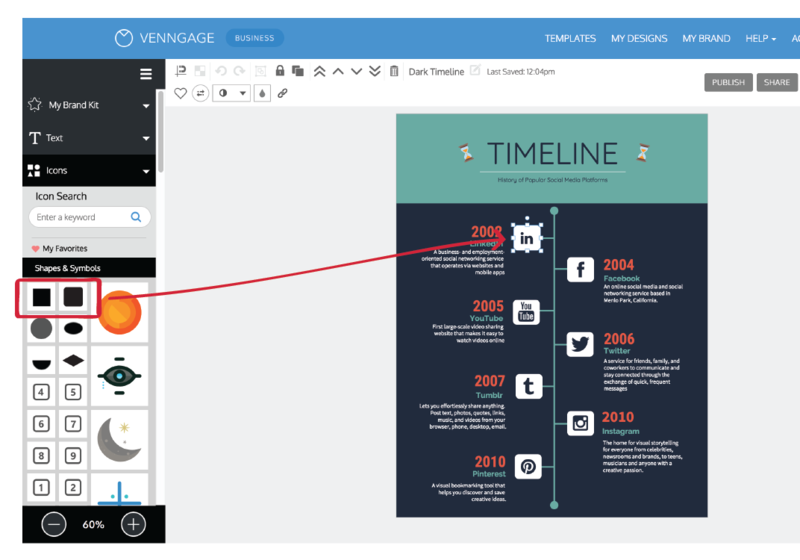 All of the essentials are now in place, so you can focus on making the timeline design more visually interesting. Start by picking a color scheme to spice things up a bit. Use the background color picker in the left toolbar to swap the background color, and the color picker in the top toolbar to change to colors of other elements. Notice how we’ve used the same colors for the same elements across the entire timeline? 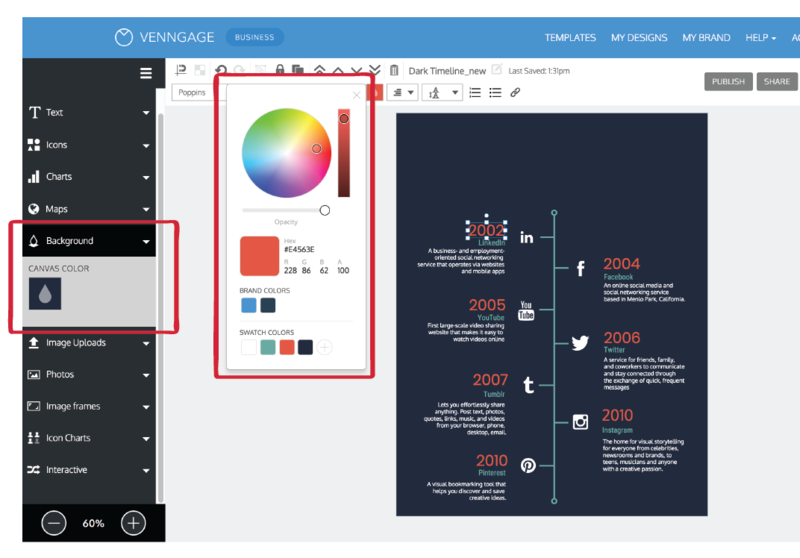 By sticking with a simple three color scheme for this timeline we can create a clean, cohesive look. We use a bright-eye catching red to draw attention to the dates, and kept the background pretty neutral in a dark blue. Next, let’s jazz up the style of our graphic by picking a font pairing with some character. Scroll through the font family options in the top toolbar to find 2-3 fonts that you like. Feel free to use bold, stylized fonts for your headers and dates, but stick with basic, easy to read fonts for your descriptions. Finally, add some basic shapes like circles and boxes around important elements (like icons and titles) to give the timeline more structure. 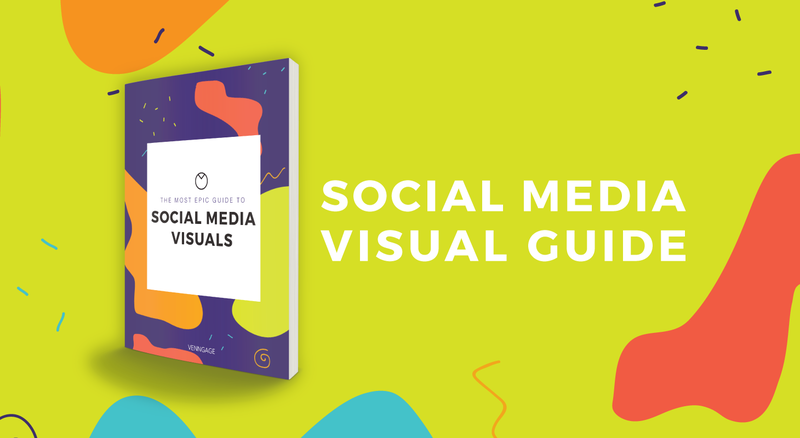 When you’ve finished customizing your timeline infographic with fun fonts, colors, and shapes, you’ll want to share it with the world. 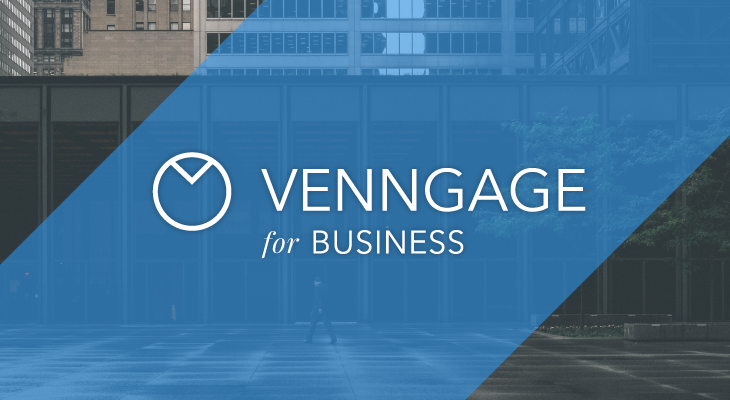 With Venngage, you have the option to download every infographic in PNG or PDF format. 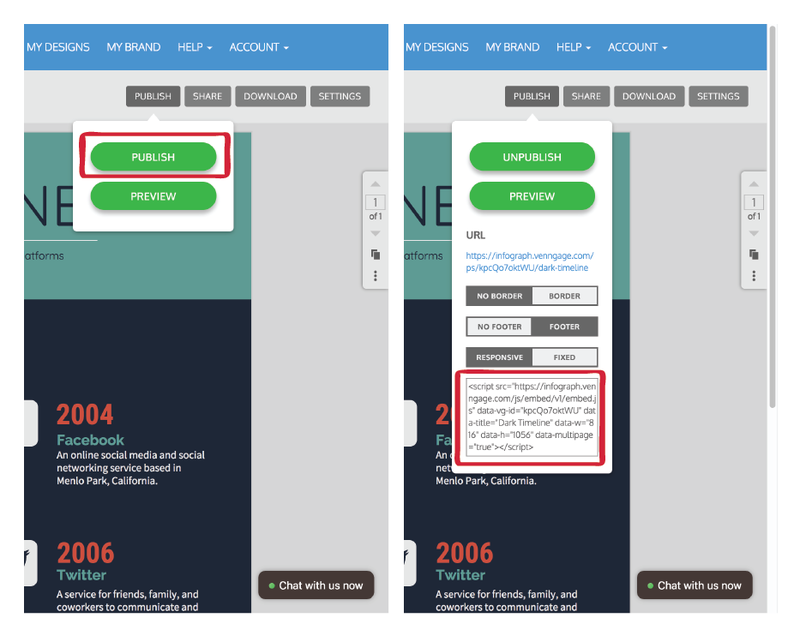 If you want to embed links into your timeline, be sure to choose the interactive PDF option. Otherwise, high-quality PNG is likely your best bet. 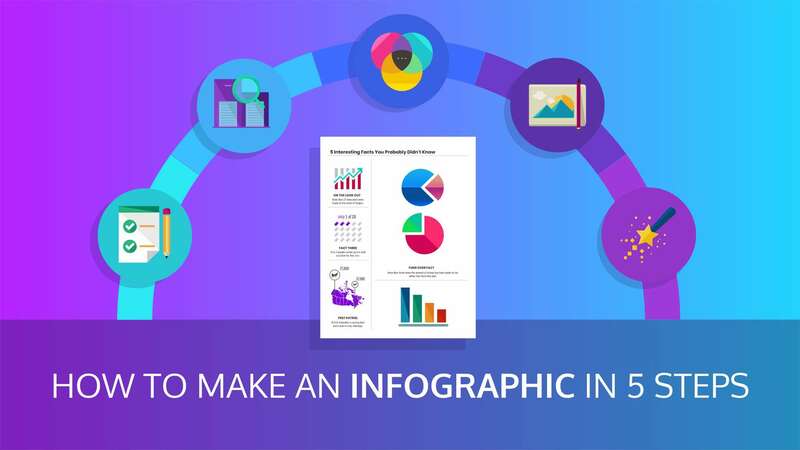 You’ve also got the option to embed your infographic directly in a webpage. Simply hit “Publish” to get your embed code. Learn more about our infographic features. 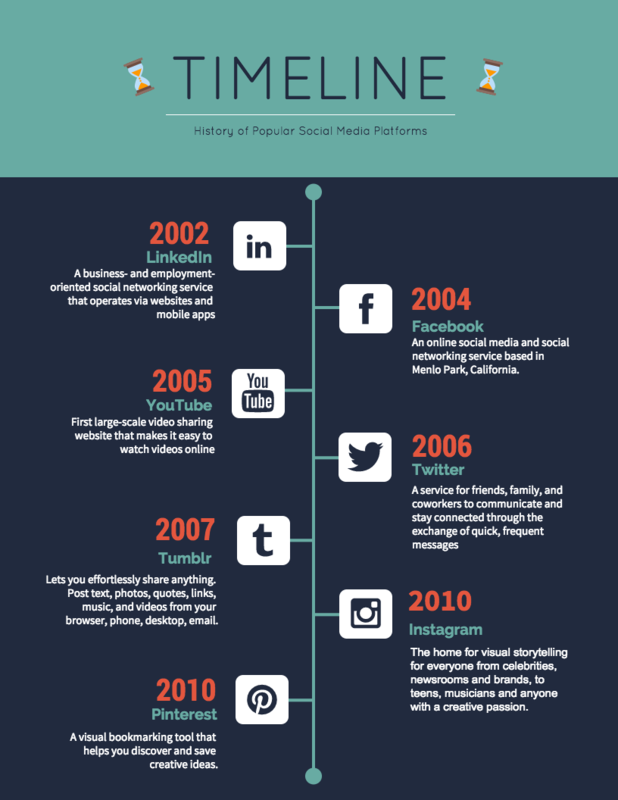 Timeline infographics are the perfect visuals for telling stories that your readers will enjoy and want to share with their friends. Plus, you can make them in 6 easy steps. So what are you waiting for?